...think snickerdoodles, with an attitude. 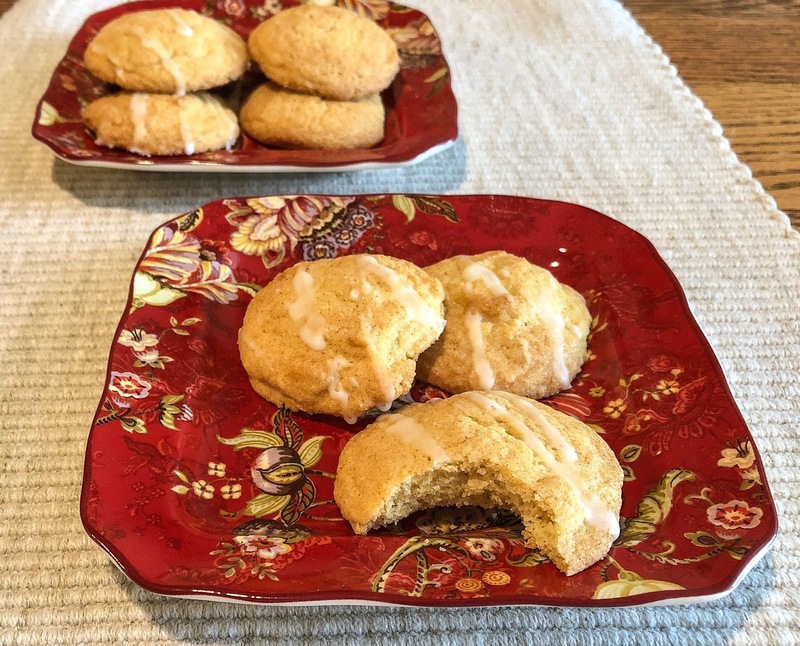 Continuing on this week with some lemon and gingery things, these cookies were delicious, exceeding all expectations. Slightly chewy golden brown edges... light puffy centers... and a subtle tangyness of lemon and ginger that almost made my tongue tingle. Mmmm, yes! The first dozen disappeared quickly as my favorite taste tester helped me assess the results. We both awarded top honors with two thumbs up. The recipe should have tipped me off that these little puffs were close to the classic snickerdoodle cookie, but I don't remember ever eating one. 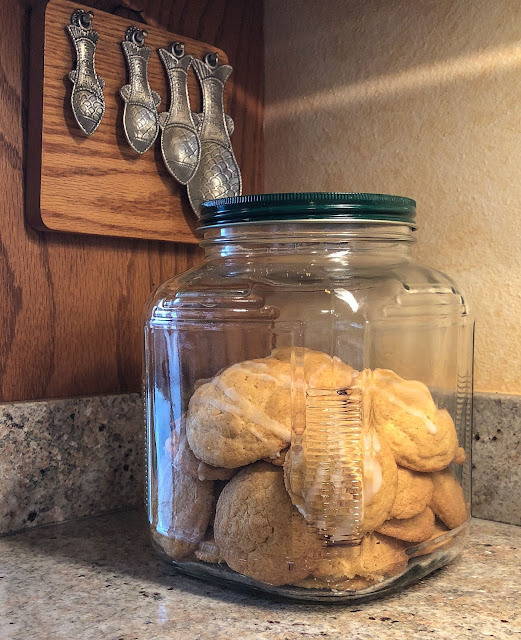 Nope, not ever; snickerdoodles were not present in my childhood. I've heard of them since, but never sought them out. A traditional snickerdoodle relies on cream of tartar for additional lift and lightness, and typically calls for chilling the dough before baking for maximum height and minimum spread. I might adjust my approach for the next batch, or not. These little cuties were winners as is. Random thought: where did that strange name come from? "Snickerdoodle;" it sounds like it might have a Deutsch history... schnecken and knodel? Mmmm, no, not when a schnecken is a snail or rolled bun. I'll stick with calling them Lemon Ginger Cookies. Step 1. Preheat the oven to 355 degrees F. Line 2 cookie sheets with a silicone baking pad or parchment paper. Have wire baking racks available. Use a small bowl and mix the optional topping to roll each cookie before baking. Step 4. Scoop out 1-inch balls of the dough and roll between your fingers to shape and firm. Optional step: roll each dough ball in the flavored sugar topping mix listed in Step 1. Place on cookie sheet with an inch or two between cookies. Step 5. Bake for approx 15 minutes in preheated 355 F oven until the edges are golden brown. Remove from the oven and let sit undisturbed for a few minutes. Move to a wire rack to cool completely. Store in a covered container. Note: Unnecessary but tasty finish: drizzle cooled cookies with thin ribbons of a loose 3:1 or 4:1 mix of powdered sugar and lemon juice. More lemon and ginger! How great. I should try that recipe, though I remember snickerdoodles as not spiced at all. 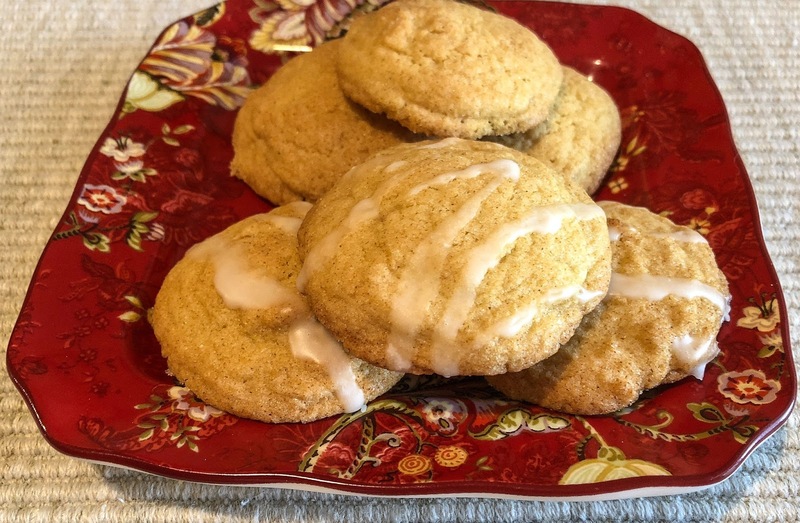 I've read that traditional snickerdoodles include cinnamon, but lemon & ginger suit me currently. Hmmm, lavender & lemon might be interesting as well. 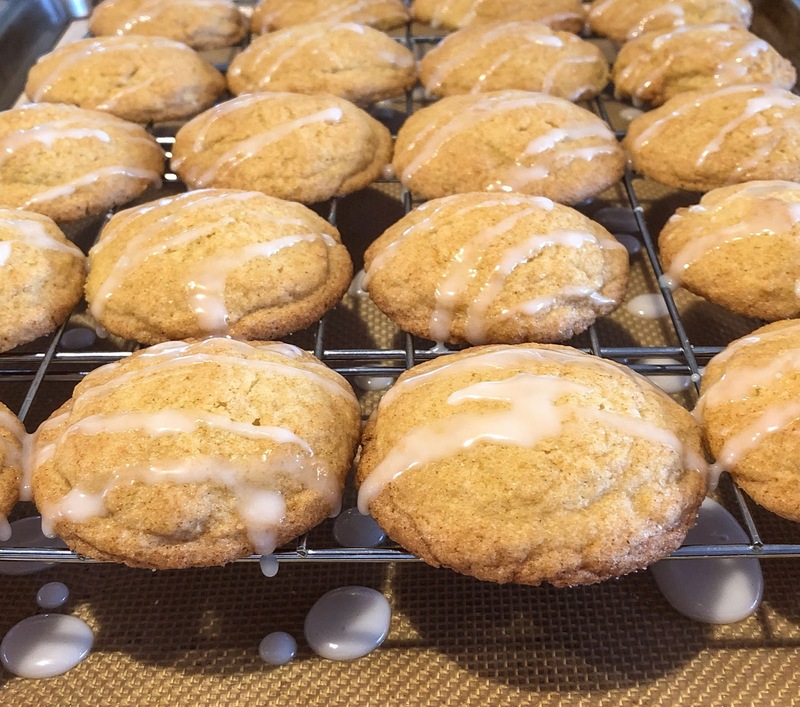 I love lemon ginger flavours and so these cookies sound gorgeous to me. They look beautiful too! Thanks, Kari. This batch disappeared quickly, always a good sign.